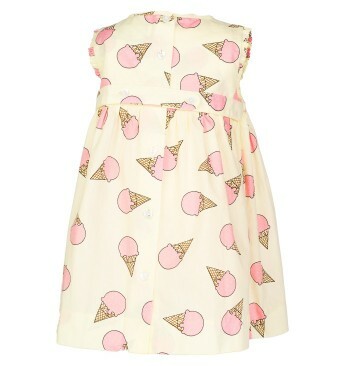 This gorgeous cream coloured frock is adorned with strawberry ice cream cones… or is it raspberry? 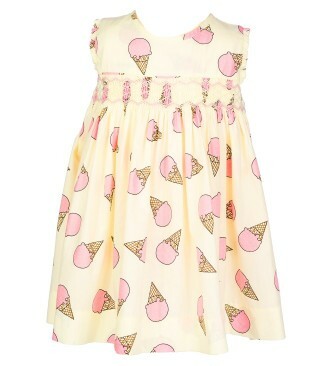 Whatever the flavour we promise they’ll look super-sweet! 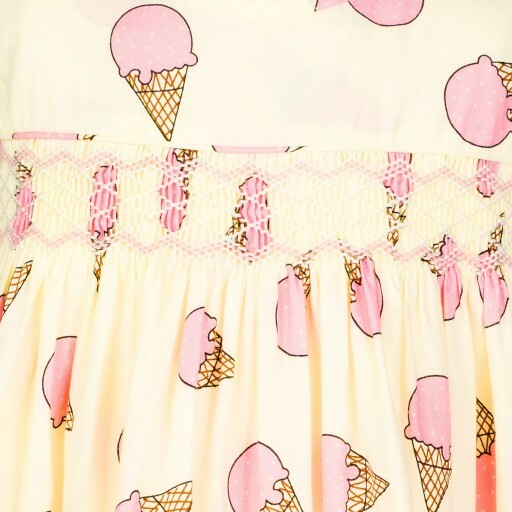 It features a hand smocked waistband and matching bloomers.